(Westbrook) – My Place Teen Center of Westbrook has been named this year’s “6 Who Care Agency of Distinction” for its tireless efforts to improve the lives of hundreds of youth most at risk. 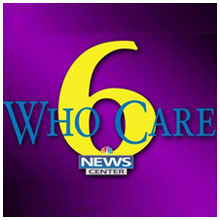 The 6 Who Care award, presented by WCSH-TV Channel 6 each year in partnership with the United Way of Greater Portland to a single Maine non-profit, will be officially presented at a ceremony hosted by News Center 6 anchors Pat Callaghan and Cindy Williams at the Portland Museum of Art on October 20th. It will be recorded for broadcast at a later date in a prime-time special that will also highlight the center. In a letter to My Place Teen Center (MPTC) executive director Donna Dwyer, WCSH-TV said the prestigious award is only given to “the best of the best” and that selecting a winner this year “was extremely difficult” in light of the numerous non-profits doing valuable volunteer social work. The award is chosen by a board of governors, some with experience in running, funding or advising non-profits. The winning agency is selected based on its level of service to the community, the number of people it serves, and the degree to which it goes above and beyond its stated mission to address a critical need in that community. In addition to MPTC’s award as an agency, another individual from Westbrook has been named a 6 Who Care Volunteer of the Year. Jeanne Rielly, director of the Westbrook Community Food & Resource Center, is among the six volunteers and one agency selected from across the state for the 6 Who Care awards. MPTC serves an ever-increasing number of kids at-risk in the greater Portland and York county area. So far in 2014, they’ve provided hundreds of children with a safe, nurturing and welcoming place for instilling character, teaching valuable life and job skills, providing educational programs and serving a hot, nutritious meal for each child – all at no cost to the child or family. The award could hardly have come at a better time for the teen center as it prepares for its biggest fundraiser of the year. 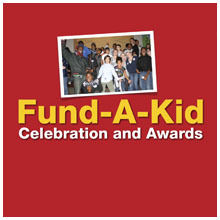 MPTC’s “Fund-a-Kid” celebration is set for Thursday, September 25 from 5-7:30 p.m. at the center, located at 755 Main Street in Westbrook. The agency hopes to raise $50,000 through a combination of local corporate sponsorships, ticket sales, auction proceeds and individual donations. MPTC spends about $960 per year per child and served over 500 kids in 2013. Tickets for the auction, which includes sweets and treats from the Frog ‘n Turtle Gastro Pub, live music and a cash bar, are $50. They are available online anytime at the MPTC web site (myplaceteencenter.org). Lead sponsors at this time include Bath Savings Institution, IDEXX and Disability RMS. 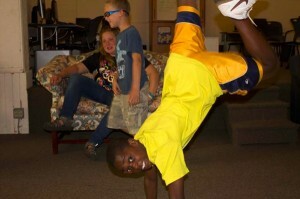 MPTC is a year-round, free, after-school program for children between the ages of 10-18. Specializing in homeless, food insecure, cognitively-delayed, low-income, immigrant, and refugee teens and pre-teens, MPTC offers a multi-purpose, academically enriching, hunger-relieving youth development program that has been a focal point for greater Portland and York county kids since its inception in 1998.